We're thrilled to announce that Soonish is now part of the library of high-quality podcasts at NPR One. 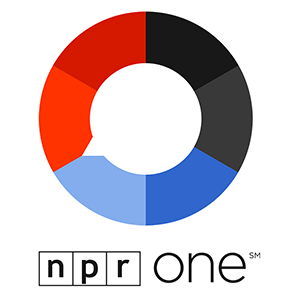 It's NPR's mobile listening app, featuring a customized blend of radio programs and podcasts from NPR, member stations, and independent partners. You can download NPR One for iOS and Android. Find Soonish inside the app by clicking the Search (magnifying glass) icon in the upper right of the screen and typing in "Soonish." From there you can listen to any episode. We also recommending hitting the + (plus sign) button, which gives you the option to follow Soonish within the app, so that you'll never miss an episode. And please tell us you love Soonish by hitting the Interesting button on your screen! You can also find the other Hub & Spoke shows on NPR One, including Hi-Phi Nation and Ministry of Ideas.